Archaeologic It was a home computer that embodied so many contradictions. It was launched months after the British microcomputer boom of the early 1980s had peaked. It was a rush job: the machine that was revealed to the press in the Spring of 1984 hadn’t even existed nine months previously. It was one of the best-produced British micros of its era, yet it came from a company then known only for dirt-cheap hi-fi products. It shipped when its manufacturer said it would. The invite to the launch, which took place at 11.30am on Thursday, 12 April 1984 at the Westminster School, London, teased attendees by promising they would get to “meet Einstein, Archimedes, William Shakespeare, Monet and Ravel”. In fact, it was the Amstrad CPC 464 - "CPC" for "Colour Personal Computer" - to which they were introduced. It’s not quite clear when Amstrad decided to enter the home computer market. Throughout the early 1980s, the company’s boss, Alan Sugar – then long before his elevation to the peerage and his regular TV appearances – seemed generally dismissive of the new technology. Not because it wasn’t any good, but because he didn’t think the ordinary folk who made up Amstrad’s customer base wanted or needed it. If that ever really was his view and not an example of a canny businessman’s way of steering attention away from what he was really thinking, he changed his mind some time during 1982, quite possibly following the arrival of the Sinclair ZX Spectrum, which had been launched in April that year but took some months to arrive in the shops. The Spectrum wasn’t Britain’s first colour computer, nor the first for home use, but it did demonstrate that there was a massive untapped market for a good-looking, low-cost colour machine. Sugar was not alone in being inspired by the Sinclair Spectrum to enter the home computer business. This was a time of "whatever you ship, you will sell". What player in the electronics business could resist? Especially now that, as Sugar notes in his 2010 autobiography, What You See is What You Get, sales of Amstrad’s consumer electronics were beginning to plateau. “We needed to move on and find another sector or product to bring us back to profit growth,” he wrote. Work started on the Amstrad home computer early in 1983. Amstrad engineer Ivor Spital, who’d been with the firm from the beginning, was asked to provide a competitive analysis of the machines an Amstrad computer would go up against. He bought a pile of available models to see how they all worked, what set-up they required, what extras they came with and what it cost to make them. The upshot of Ivor’s investigation was that Amstrad could and should enter the market, and play to its strengths: the integration of low-cost hardware into a product that would be sold at an affordable, impulse-purchase price. Amstrad was an early proponent of all-in-one hi-fi units shipped with bundled speakers. One idea, that the company might re-badge an Asian Apple II clone, was rejected. Amstrad lacked expertise in computer hardware and software, so it would commission contractors for that work but create the casing itself, under the guidance of one of Sugar’s key lieutenants: Bob Watkins, who’d joined Amstrad years back as a draughtsman and designer but by now become the company’s technical and manufacturing director. Soon, Amstrad not only had the machine’s casing designed, but it had tooled up the necessary mouldings to put the computer’s shell into production. The keyboard and cassette mechanism had been chosen. 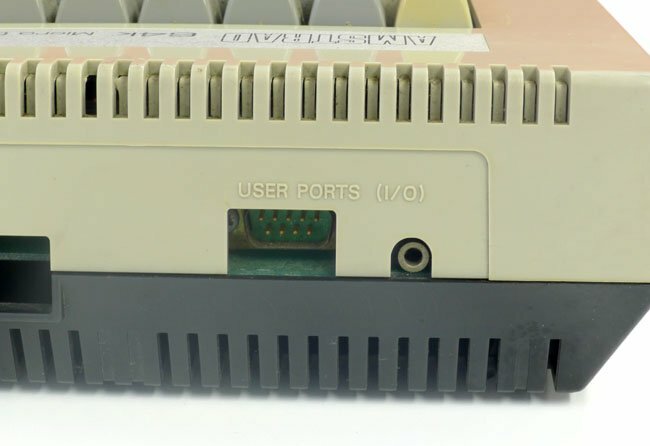 They had defined where the ports would go, and where holes would need drilling in the PCB to allow the screws that held the two halves of the casing together to pass through. All the company’s manufacturing team had to do now was wait for the motherboard and the software that would run on it. Around April 1983, development partners were found: “A couple of long-haired hippies who had helped us out previously,” wrote Sugar in his autobiography. “They claimed they would easily be able to design a PCB to go inside this beautiful exterior hardware.” More to the point, they said they could do it in a very short period of time. Work began on a device based on the 6502 processor then being used in the BBC Micro, the Commodore 64 and the Apple II, and judged in the competitive analysis to be more highly regarded than the Z80. But as spring rolled into summer, it became clear the development of the hardware and software were not going well. There was no ROM chip because there was no software to put in it. And the designers appear to have created a system based on dozens of chips, not realising that many of them could be integrated into a custom component for a fraction of the cost. Five years later, it was revealed that at one of the two-man development team had found himself entirely unable to cope with the pressure of Amstrad’s deadline and abruptly resigned. He returned the advance on his fee that Amstrad had already paid and turned his back on the project. Sugar’s autobiography provides a little more detail: the developer in question was one “Paul Kelly, the lead rocket scientist of the dynamic duo”, and Sugar says Kelly simply went AWOL. Kelly’s father, it seems, had discovered the young man sprawled on the floor with exhaustion and had packed him off to where he could recuperate. The truth was, Kelly and his colleague had bitten off more than they could chew. Their casual "oh, we can do it in a month" claim, even if they hadn’t meant it as a specific deadline, had been taken at face value by both Alan Sugar and Bob Watkins. When the month was up, Watkins, not unreasonably, started asking them where the software was and when it would be ready. Kelly, finding the work tougher than he’d imagined, was unable to provide a clear answer. That only increased the pressure he was undoubtedly feeling. And what, he must have wondered, was he going to do if he couldn’t make it work at all? Kelly appears to have recovered from his collapse, because Sugar says he eventually supplied some software in machine code form ready to be burned to ROM. But, the Amstrad chief claims, the software was “garbage”, just a meaningless collection of bytes sufficiently long to fill the chip. It was “just some rubbish to keep Bob quiet”, and it wasn’t until Toshiba burned it to ROM that the tactic was exposed. Sugar doesn’t say so, but it’s hard to imagine he or Watkins could have done anything at this stage but take the project away from the “hippies” and put it in more capable hands. Enter Roland Perry and William Poel. These two men would become synonymous with Amstrad’s entry and rapid expansion into the UK computer market, not just its efforts in home computing but its even more successful jump into the world of business micros. At this point, though, they were working for themselves at Ambit International, a Brentwood, Essex-based component supplier and jobbing hardware design consultancy founded by Poel. Perry, meanwhile, scouted Cambridge University’s electronics and radio societies to find enthusiasts able to devise and write up projects for which Poel would offer free parts in exchange for the right to pitch the designs to electronics magazines. Readers interested in building the radio receiver, car alarm, metal detector or whatever would be invited to send a cheque to Ambit for all the necessary bits. This was a common practice among the component suppliers of the time: home computer pioneer John Miller-Kirkpatrick’s Bywood Electronics thrived on it. So did Research Machines’ subsidiary, Sintel. After university, and with an MA in Engineering and Management Studies under his belt, Roland Perry gravitated back to Brentwood and Ambit, where he became General Manager. However, an increasing interest in the emerging microcomputer business - he recalls regular visits from the major processor suppliers pitching their new development kits; Motorola’s 6800-based Exorciser, for instance - led him to take a maintenance training job in 1977 at nationalised computing giant ICL. But he soon found the firm’s old-fashioned bureaucratic and stiff company culture not to his taste and in 1978 he left to join microcomputer supplier Sintrom to run its newly opened MicroShop outlet, essentially a showroom for the dealership’s business-centric computer range, including some of the first Apple IIs and Commodore Pets in the UK. Sintrom quickly progressed to making its own machines, and when, at some point in the early 1980s, William Poel said he wanted to buy one to manage Ambit’s stock control process, Perry did what he’d told many another Sintrom customer he would not: he left Sintrom to maintain Ambit’s new system and to write its software. By this stage, Ambit was a large, successful company. It had even extended its reach into contract design, with an emphasis on radio for which it had developed working relationships with many of Britain’s high-end hi-fi companies. But not just top-of-the-line firms: Amstrad’s Bob Watkins approached Ambit for help getting a CB radio offering to work, which it had. No wonder, then, that Watkins immediately thought of Poel as a possible troubleshooter when the Amstrad home computer project ground to halt in the Summer of 1983. Ambit’s 40-odd staff were engaged in the firm’s annual stock check – for which it shut for three days at the start of August – when Watkins knocked on the door to see if they could help. Watkins asked Poel what could be done. Poel suggested he and Perry be hired as consultants. They would deliver a working micro with software to Amstrad, ready to go inside the casing that had already been designed. “Amstrad’s forte was getting tooling, injection moulding and conventional electronics done. 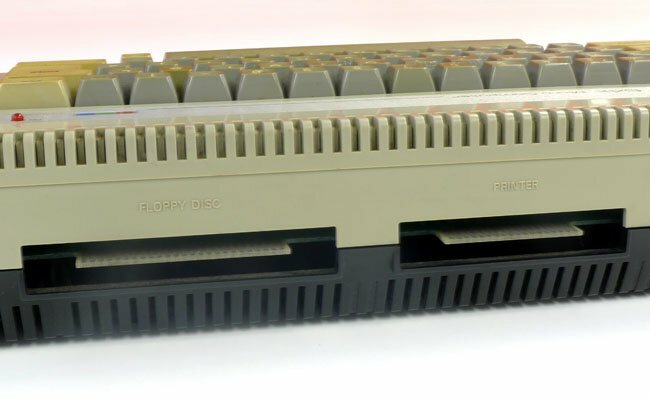 By August that year they’d got a fully finished keyboard in a case, they’d got monitors, they’d got a cassette drive all fitted - you pressed the Eject button and out popped the tape - all like a completely finished computer,” says Perry. 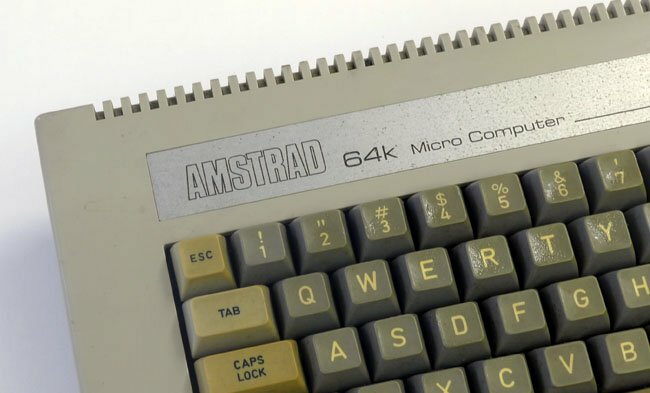 With the Amstrad micro development contract in Ambit’s hands, Perry drove straight to Cambridge and approached many of his contacts in the local community of electronics and technology companies to seek someone who could pick up the work done on the machine and finish it. “I knew a lot of people working in this stuff, and I knew exactly what was necessary in terms of the components: you need a Basic interpreter, you need a sound generator, you need a certain resolution on the screen. A lot of computers could only do four colours at a limited resolution, and I wanted to do better than that,” Roland remembers. First, the software. Some companies he contacted were not interested, or felt they lacked the expertise to write a Basic interpreter. Others were too busy: a contact at software house GST said they were going hell-for-leather writing a 68008-based operating system and application suite for a new machine Sinclair was working on; five months later the computer would be launched as the QL, though not with GST’s OS or applications on board. 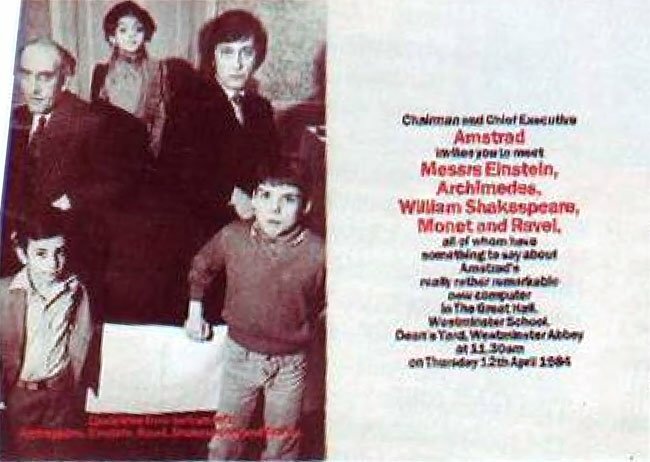 Then a pal at Acorn – Howard Fisher, who was also one of Perry’s school chums – suggested Amstrad’s man travel to Dorking, Surrey and pay a call on Locomotive Software, which had just completed a Basic project for the BBC Micro maker. Why "Arnold"? That was William Poel’s idea; only later, Roland insists, was it found to be an anagram of his first name. 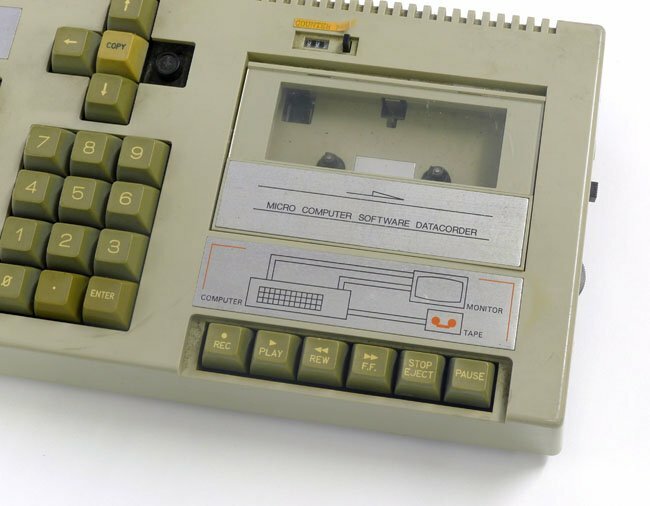 Amstrad’s design team had long since completed the computer’s outer casing, complete with keyboard, cursor keys, numeric pad, tape drive and controls, gaps in the back for ports, and even the company logo, positioned just above the keyboard. Obsessed as it was with commercial confidentiality, there was no way Amstrad would be happy with Perry’s interviewees knowing what it was up to, so Perry used nail varnish remover to erase the brand and put Arnold in its place. Poel suggested the name: it would encourage anyone who saw the box to think of Arnold Weinstock, then head of industrial giant GEC, and so think that company was making the box Perry was showing. That made people comfortable, he says, because they knew GEC had all sorts of little businesses and that one of them might very well be developing a home computer. Who else, then, could the “big British company” Perry was representing but could not name be? Having made the intended assumption, they were all the more ready to hear Roland out. In all, he talked to about a dozen companies about the project. Richard Clayton says he’d never heard of Amstrad at that point, but it didn’t prevent him signing up to write a Basic interpreter for the new machine. Locomotive was an ideal candidate for the work. Although the company had only been in existence since 14 February that year, its two principals, Clayton and Chris Hall, had already been commissioned by Acorn to write a version of Basic for the BBC Micro’s add-on Z80 processor, for which Fisher was compiling a bundle of business software. Their Mallard Basic, named because of its speed, had been finished and was undergoing final bug-testing when Perry came to call. Richard Clayton had been a maths undergraduate at Cambridge when the combination of failing his second year exams and becoming involved in protests against college room rent increases saw him ejected from the university. He’d planned to switch to computer science in his third year but now he went to work instead, joining ICL in Bracknell as a programmer. That was during the Summer of 1973; 18 months later he was poached by a word processor hardware company, Data Recall, for whom Clayton’s college pal, David Collier, had gone to work after graduation. Collier was lead programmer; he wanted Clayton as his number two. At that time, Data Recall was based in the West London suburb of Boston Manor. Clayton needed to move, and an ICL acquaintance, Chris Hall, lent him a a spare room until he’d found a place of his own. Clayton was later able to repay the favour: when David Collier was dismissed from Data Recall, Clayton got his job and asked for Hall to be hired too. During his time at Data Recall during the mid-1970s, Clayton took his degree, in computer science, at Manchester. By 1980, Chris Hall had tired of working on software for word processing hardware and quit to go into consultancy. But he kept in touch with Richard Clayton, and in 1982 the pair decided to go into business together. The IBM PC, which had been launched in the US on 12 August 1981, had by now finally gone on sale in the UK. Clayton and Hall’s first project was an accelerator board for the machine, based on a National Semiconductor 16032 chip and a Pascal runtime. And then an old college friend, Howard Fisher, now working for Acorn, came knocking. He wanted a Basic that would run on the Z80, cost rather less than the price Microsoft had quoted him, and could be coded with an Indexed Sequential Access Method (ISAM) indexed file system so he didn’t need to buy a database application too. The two programmers, now trading as Locomotive Software, hired a third, Paul Overell, to help out. Overell wrote the file system. They achieved what they had promised Fisher, who was therefore happy to recommend them to Roland Perry. During the second or third week of August, he formally offered Locomotive the Amstrad gig. 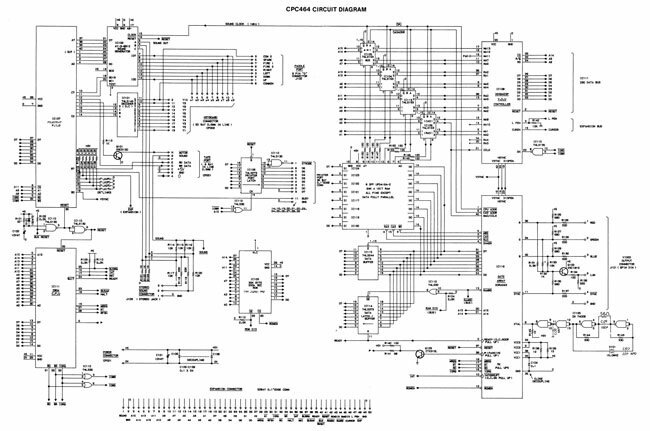 Locomotive’s complete Basic interpreter was written in Z80 assembly language. Plan A was to simply finish the existing hardware and write the software, says Perry. Yes, the Locomotive boys told him at the time, they could convert their Basic to the native machine code of the 6502 processor but they might not be able to do so and make all the necessary alterations - adding graphics, colour, sound and so forth, removing the ISAM file system - by the start of December, the deadline Amstrad had imposed upon Ambit. Why not, they suggested, simply switch to the Z80? That would allow Locomotive to tweak the work it had already done and give it time to expand and enhance its Basic for home market. While working at Data Recall, Clayton and Hall knew a young hardware engineer called Mark-Eric Jones who happened to be the owner’s son but, more to the point, was an electronics wizard with a keen interest in microprocessor technology. Converting his father’s word processing systems to operate using microprocessors – they originally contained boards of wired transistors, not even Transistor–transistor logic (TTL) chips – Jones junior had received one of the first Intel 8080 chips to arrive in Britain. Young Jones had been eagerly experimenting with electronics since his teens, and he duly went up to Trinity College Cambridge to study Electrical Sciences, an engineering course with an emphasis on electronics in the third year. But long before then, Jones – "Mej" to his pals – was helping his father improve Data Recall’s word processors and increasing his pocket money doing system repair work for a dealership which sold computers manufactured by Israeli technology company Elbit Systems. In 1976, shortly after graduating, Jones found himself inheriting a project designing and improving the microprocessor-based electronics on which a series of early industrial robots were being constructed. The manufacturer’s lead designer, who knew Mej well, had accepted a job in the States and suggested his friend be contracted as his replacement. Barely out of college, Jones founded MEJ Electronics and contracted his services to the robot maker, Data Recall and, over time, others. By 1983, when Roland Perry met him for the first time, MEJ had expanded into a successful hardware design business. “Roland turned up with a PCB with a whole load of chips on it,” remembers Mej. “There were clearly some issues with the board, to put it mildly. I looked at it and noticed that some of the chips didn’t have the power supply connected to them, and I thought ‘well this is not going to be able to work’. The were clearly some errors on it. It may have been that some of those could have quickly been solved, who knows, but if there were things I could find in such a short time, perhaps there were other problems that would take longer to uncover. Hands were shaken, deals were struck. Amstrad’s approval was sought and granted. Toward the end of August, a strict development schedule was agreed. From the beginning of September, Locomotive had just over 12 weeks to produce working code; that would take up to the start of December. At the same time, Jones would build a suitable motherboard to the agreed spec and able to fit inside Amstrad’s casing. Clayton and Hall, along with new recruits Bruce Godden and Tony Bush who had been hired on the back of the Amstrad contract, decided to architect the system software as a slightly modified version of its Basic interpreter which would sit on top of modular firmware. The firmware would deliver the additional functionality required by the new machine. The firmware was organised into five functional modules: the screen (allocated to Paul Overell), the cassette storage (Tony Bush), the drawing routines (Bruce Godden), the floating-point arithmetic (Chris Hall) and the core real-time OS (also Hall). The reasons for the segmentation? To keep certain functions clearly separate and organised, of course, but also because it allowed the team members to more easily work in parallel and because each part of the firmware would fit on the 5.25-inch floppy disk in each development machine, says Clayton today. “We tried to keep a firm distinction between the firmware and the Basic,” explained Chris Hall in 1984. “The Basic simply takes the commands keyed in, packs them up and passes them to the firmware. The HiSoft Pascal written for the machine, for example, has all the graphics and sound facilities that the Basic does. The goal, Hall said, was to make Arnold as easy to program as possible. “After all, even an experienced programmer, faced with a series of POKEs to various machine code addresses written some time ago, may have trouble working out what is going on. Another novel feature - and again one intended to allow Arnold to be fully functional in Basic without having to fall back on machine code routines - was the addition of interrupt controls to the high-level language. The AFTER and EVERY commands allowed program sub-routines to be triggered at 1/50th of a second intervals. It wasn’t a unique function, but only one other micro, the Japanese Sord M5, offered this kind of control.